Our patterned cello sleeves feature a Y shape pattern and will protect small flower bunches or rose bouquets of up to a dozen flowers. Coming in packs of 50, flower sleeves pattern are the easy bouquet wrapping solution. With ornate designs, our range of patterned cellophane sleeves is easy to use thanks to their bottom opening and is made of durable materials. They are available at wholesale prices and we welcome all enquiries in regards to customisation with printed logos. 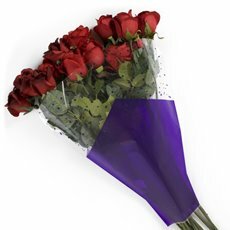 At Koch & Co, we pride ourselves on importing, distributing and selling the widest range of florist supplies in Australia at wholesale prices. You can buy our products online and be sure they will be safely delivered nationwide in no time. Protect your fresh flowers or artificial flowers with our patterned cello sleeves.